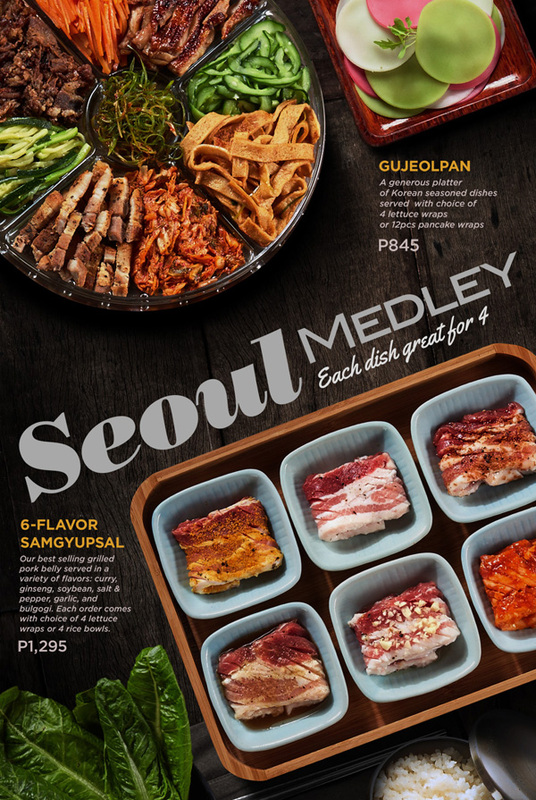 Try our Gujeolpan and 6-Flavor Samgyupsal! A generous platter of Korean seasoned dishes served with choice of 4 lettuce wraps or 12 pcs pancake wraps. Our best selling grilled pork belly served in a variety of flavors: curry, ginseng, soybean, salt & pepper, garlic, and bulgogi. Each order comes with choice of 4 lettuce wraps or 4 rice bowls.